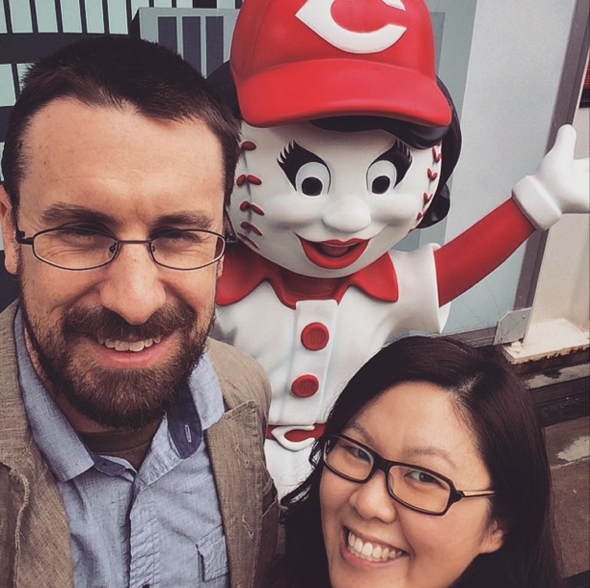 yesterday, mindy and i headed off to Cincinnati. 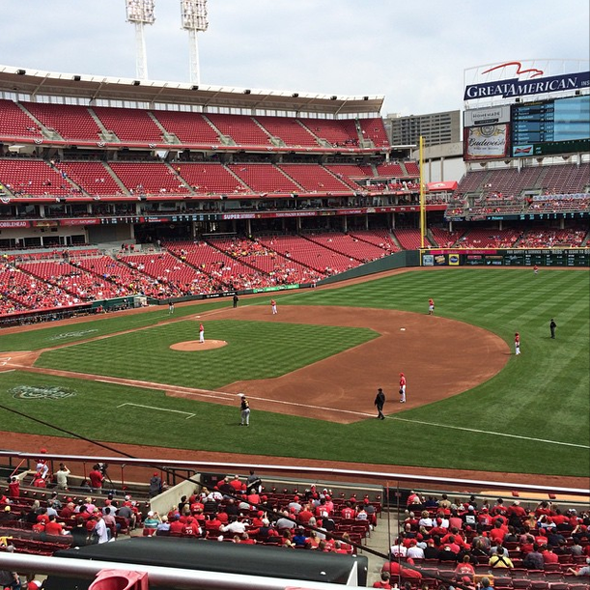 we drove straight to Great American Ball Park to see the Reds play the Pirates, for an early afternoon game. there was threat of rain the whole game, and we did have about an hour long rain delay, but we found a place to sit inside the club and wait it out. when we got there we walked around, bought a hat and a doll in the pro shop, and a beer. we ate some food in the club and sat down to watch the game. 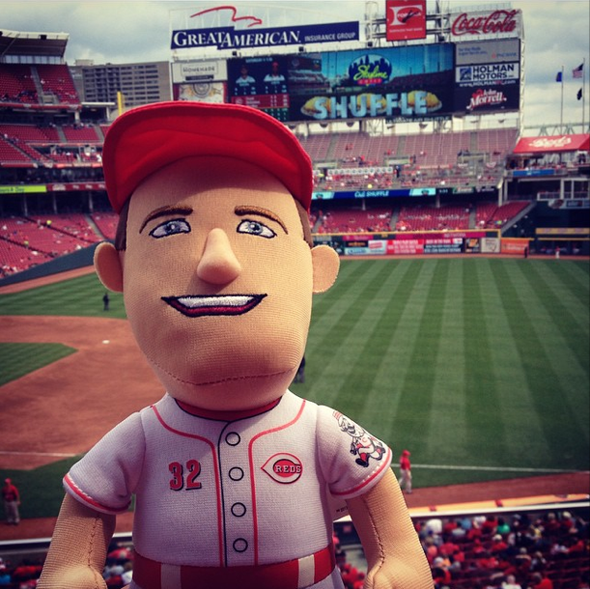 we got to see anthony desclafani start for the reds, and aj burnett for the pirates. it was a great back and forth game, one of the best i've been to. votto hit a homerun, hamilton had a couple of stolen bases and a great diving catch in the outfield and best of all the reds won it on a walk-off. with the afternoon game ending around 4:30, we had plenty of time to find somewhere for dinner. we ate at Bouquet across the river in Covington. it is one of those great farm-and-forage places that mindy and i always seek out. it was a great little spot. comfortable atmosphere, knowledgeable staff, and best of all, a simple local seasonal menu. nothing fancy really, but everything interestingly pair. mindy and i had both of the daily special options of lobster risotto with green asparagus, and wild ramp sauce and i had the rack of lamb with fiddleheads white asparagus and morels. a beautful dinner that tasted like the beginning of spring and the end of winter at the same time. and a great end to fun day. we stayed in covington, ky and woke up the next day to go to ikea in the north suburbs of cincinnati. we've been working on updating parts of our house, so we had a list of stuff that i promised not to get angry installing or building. we came away with what we needed and didn't blow the budget in the process, even with a few little add-ons like a stuffed moose.